Now that former WWE Cruiserweight Champion Neville is no longer under WWE contract, several top Professional Wrestlers around the globe have been throwing in their names to square-off in a singles contest against the former 'King of The Cruiserweights'. However, as far as Bullet Club's Tama Tonga is concerned, 'The Bad Boy' now apparently wants to align himself alongside Neville as part of The Firing Squad. On 10th of October 2017, several notable sources reported that former WWE Cruiserweight Champion Neville had reportedly walked out of the WWE during an episode of Monday Night Raw and subsequently also appeared to have quit the promotion as well. On 13 November, a new report stated that there had been "positive discussions" between Neville and WWE with some in the company believing he could be on his way back. But in January 2018 a new report from Fightful.com reported that WWE had Neville's contract and thus keeping him with the company till a release was agreed upon. However, on the 24th of August, 2018, it was reported that Neville was apparently not under WWE contract anymore and is free to work for other promotions around the world. Since the inception of The Firing Squad at The G1 Specials in San Fransisco, the notorious trio of Tama Tonga, Tanga Loa, and Bad Luck Fale have been running roughshod throughout the entire NJPW roster and have been beating up every top star of the company, as well. Despite being a Tongan exclusive faction so far, The Firing Squad recently added the services of top NJPW Junior Heavyweight Taiji Ishimori, who sided with the group at the G1 Finals. And in a recent tweet, Tama Tonga also teased the possibility of WWE Hall of Famer Goldberg joining The Firing Squad in the near future. 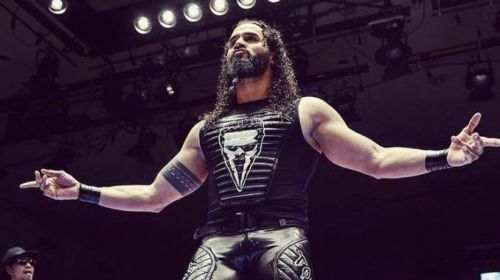 However, as of right now, it looks like Tama Tonga's focus remains on former WWE star Neville, judging by the former's very recent tweet. Tama seemed to be a big fan of the man formerly known as Pac and apparently would also like to see the British star side himself with The Firing Squad at some point down the line. As of right now, it'll definitely be very interesting to keep an eye out for Neville on the Indie circuit, however, one thing is now for sure that The Bullet Club is definitely a huge fan of the former WWE Cruiserweight Champion, after Cody Rhodes and Matt Jackson of The BC recently also tweeted about the man himself. Will Neville ever jump ship to NJPW and join The BC? Leave your thoughts in the comments below!